2012 continues to be a slow reading year for me as June saw me occupied with moving house and renovating. My books are still all packed away in boxes as the room they are to live in awaits painting and new shelving though happily last weekend I did unearth my TBR boxes and discovered my eReader. The misplacement of that pesky device has caused me to fail in my bid to read all the novels shortlisted for the CWA International Dagger Award for translated crime fiction which is to be announced on Friday (2 of the books are on that device which I couldn’t find for several weeks). Oh well. I imagine though that my pick of the month, Antonio Hill’s THE SUMMER OF DEAD TOYS – set against the backdrop of a wilting Barcelona summer – would have been my choice even if I’d managed to read a lot more books. I haven’t posted a review yet (one is half-written) but it’s a jolly fine book about a troubled policeman asked to investigate the death of a young man who was originally thought to have committed suicide. It’s highly recommended reading. Reviews of the rest of my month’s reading are also in short supply, though if you like the idea of a light but entertaining old-fashioned whodunnit you might like to check out the murderous shenanigans at a suburban bowls club as depicted by Australian author Ellen Mary Wilton in HYSTERIA AT THE WISTERIA. A proper review of Anna Jansson’s KILLER’S ISLAND, set on Sweden’s summer holiday destination island Gotland, has been submitted to Euro Crime but I haven’t gotten around to writing full reviews of anything else I managed to read for the month and, if we’re being realistic, I’m unlikely to. I did scribble some brief thoughts on all the audio books I listened to while packing though. I recently started writing posts in which I compare a book to its adaptation. I’ve always loved watching adaptations of books I’ve read – good and bad and enjoy pondering what it is that makes a really good one. This month I posted twice for the series. Once over at Celebrating Reginald Hill (a marvellous, month-long celebration of a brilliant writer) where I discussed the first book in Hill’s Dalziel and Pascoe series A CLUBBABLE WOMAN and once here on my own blog where I took a look at Val McDermid’s A PLACE OF EXECUTION. If you can think of a book with an interesting adaptation that I should check out do leave me a comment as I am enjoying the process of tracking down and watching movies I’ve not seen. 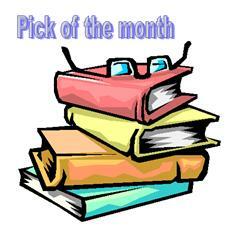 PS Book vs Adaptation – a suggestion is Mildred Pierce by James A Cain, there are two adaptations to choose from. Have just re(?) read the book & its brill (though not crime) & only 200 pp. The Kate Winslet Sky Atlantic version (which I watched on DVD recently) is superb but lacks some of the darkness of Mildred, making her more sympathetic for the viewers I suppose. Review of the book due on Petrona in a few days or so. (A non-adaptation film that I loved recently is Reykjavik Rotterdam, scripted by Indridason, avail on DVD. It is that vanishingly rare thing, a crime comedy that actually works…..another is The Guard with Brendan Gleeson which is hilarious. The guy who plays Erlunder is also in RR…..I guess there aren’t that many Icelandic actors). Thanks Bernadette. I haven’t read either of the 2 books you recommend reading but I hope to soon. I do like your book v adaptation as I not only like reading but also audio books, tv series etc. Bernadette – It’s good to hear you found your e-reader. I know the feeling of uncovering things one’s packed bit by bit. 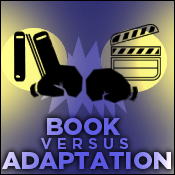 I hope you’ll make book vs adaptation a regular feature on your blog. It’s a terrific idea and you do it quite well. I remember your excellent review of Hysteria at the Wisteria and I’ll have to look for that one; sometimes an old-fashioned whodunit is just what I need. And The Summer of Dead Toys is another one I must read. Congratulations on your new home! I have heard so many good things about the Antonio Hill, I must check it out. Re:books v adaptations – how about Plein Soleil or The Talented Mr Ripley – both v v good adaptations of the same book. Or Almodovar’s Spanish adaptation of Live Flesh. Or The Godfather book v film. oops that was me btw, LauraRoot that just posted.